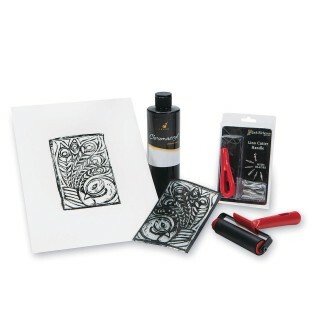 Makes printmaking easy and fun for everyone! Clear carve linoleum is made of a flexible, durable material that’s easy to carve and won’t crack or dry out for unlimited printing. 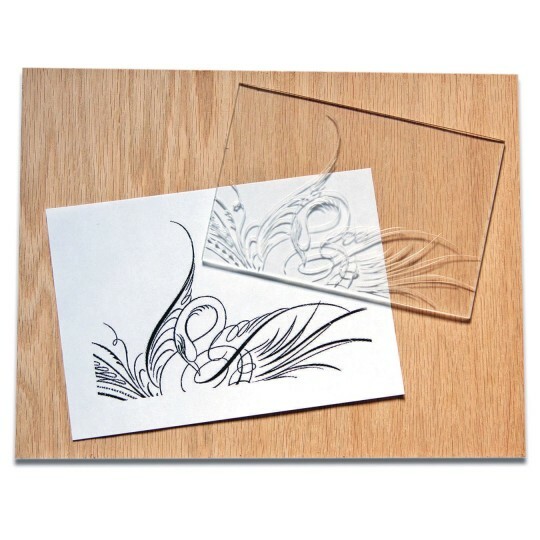 The clear carving surface eliminates the need for transferring an image and the flexibility eliminates the need for heat tools. Ultimately speeds up and simplifies the block printing process, making this the ideal product for beginners. Any printed image, photo, or sketch can be used under the clear linoleum making this printmaking process easy and fun for everyone! Surface can also be used as a reusable monoprinting plate! Choose between 4” x 6” or 6” x 8” plates. Pack of 12.